All hail the King of Scotch? Well, if you go by distribution, and I mean worldwide distribution then this may as well be the King. 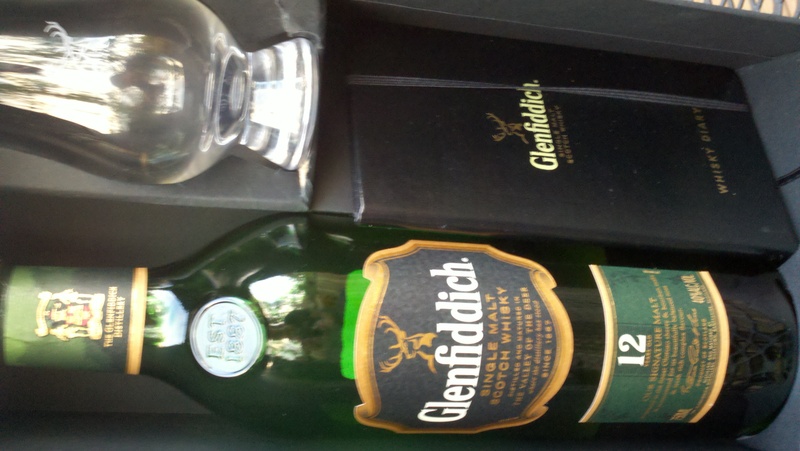 The Glenfiddich is a very old distillery and I do have one friend who will drink nothing but Glenfiddich 18 which is a very nice dram indeed. But this is the 12 year and as you can see, the special Glencairn tasting set offering that is in distribution as of this writing. The set is very nice, it comes with a whisky diary that is has a calendar in it and a few pages in which you can review/rate each whisky you taste. It also comes with a Glencairn glass which is the glass I use most often when tasting if I am not using a tulip nosing glass. 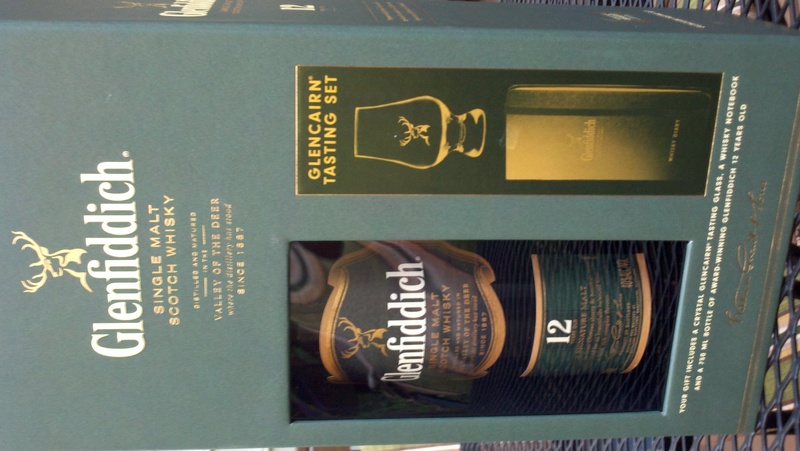 This Glenfiddich 12 is a very nice, gentle scotch whisky that in my book would be a good first scotch to try. I have said that before about The Glenlevit and a few others and I will add this to a “must try” for the novice scotch drinker. This is a single malt scotch whisky that has spent 12 years in an European as well as an American Oak cask. The result is a very soft and fruity whisky that has the distinct flavor of pears. The nose is not overly telling and I’m not sure how much time it spent in an Oloroso Sherry cask but I do not think of long. The ABV content is 40% and the finish is pleasant and even. Using the “grading scale” that is on the pages, I rated it a 8.5 on the nose (which in retrospect may be generous), a 6 on taste and a 5 on finish. The points are out of a possible 10. This is a nice everyday drinking scotch and many occasional drinkers would be more than pleased with this one. However, if you prefer a Macallan 12 as a daily drinker this one will come up short. The set is nice and I always like to pick up a Glencairn glass when I can. This was offered as a special in my area and if you come across it you may want to check it out.